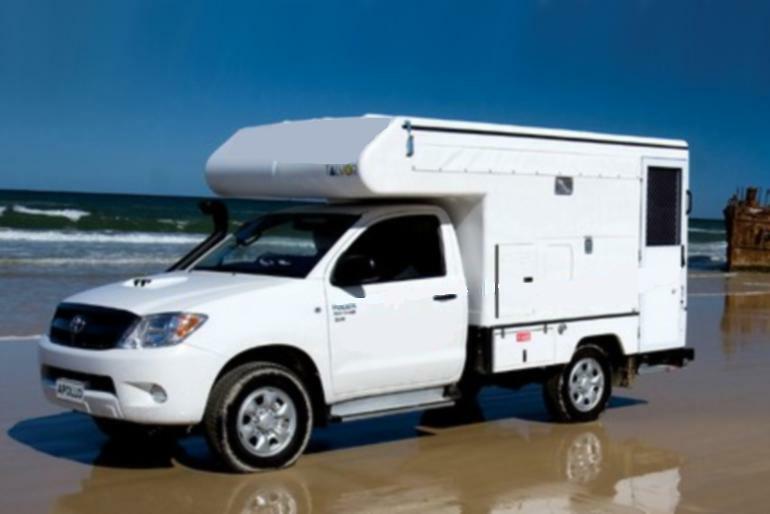 The 4WD Camper is perfect for off road adventurers on a budget. 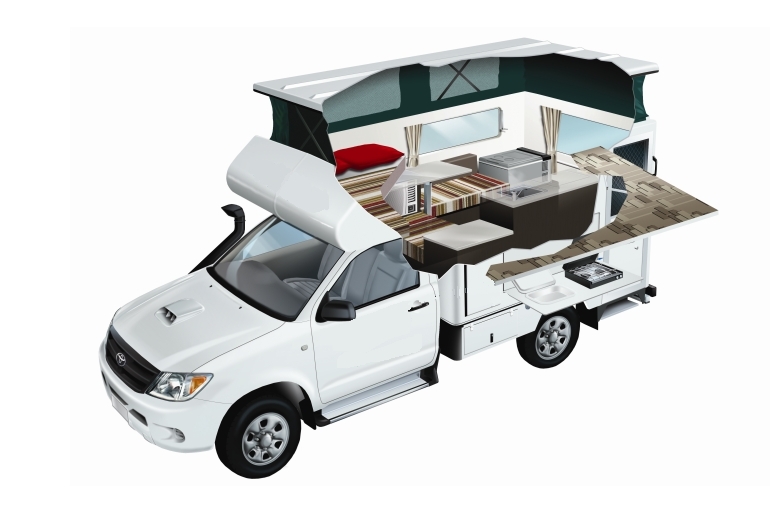 The campervan comes with all of the conveniences of a 4WD campervan but at cheap price. 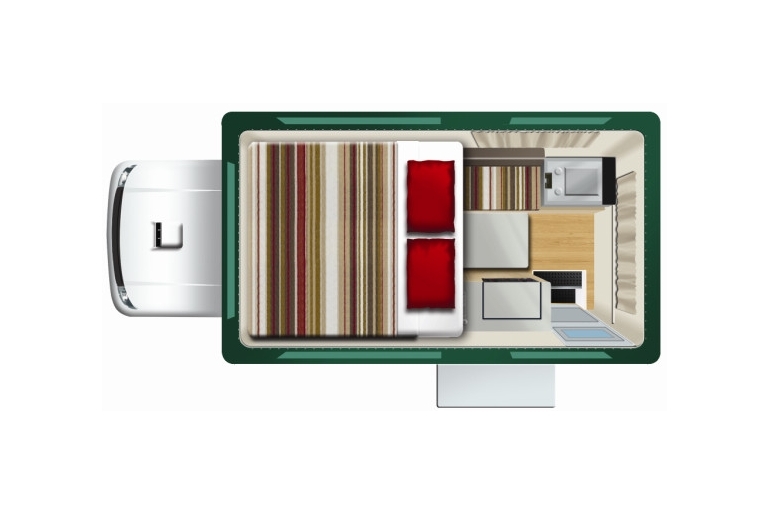 It features full kitchen facilities Including; a gas stove, fridge and sink. You can enjoy your meal in the great outdoors underneath the large side awning. 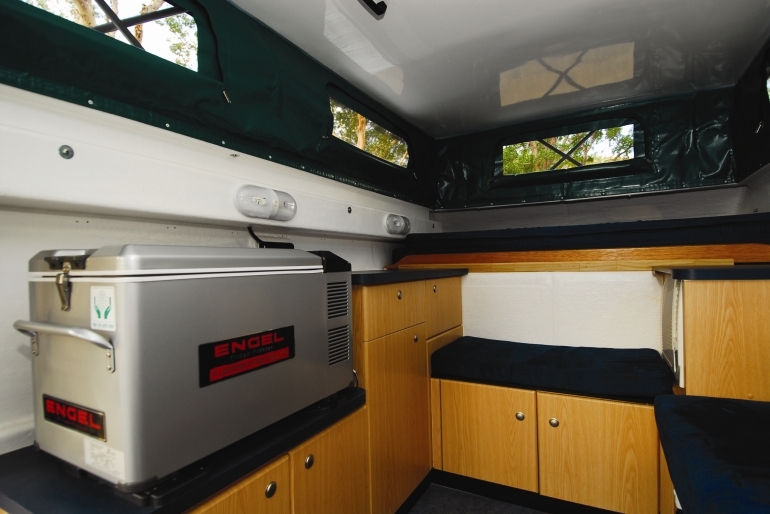 The vehicle also comes with a roomy double bed, 240V air-conditioning for those warm summer nights and a handy outdoor solar shower. 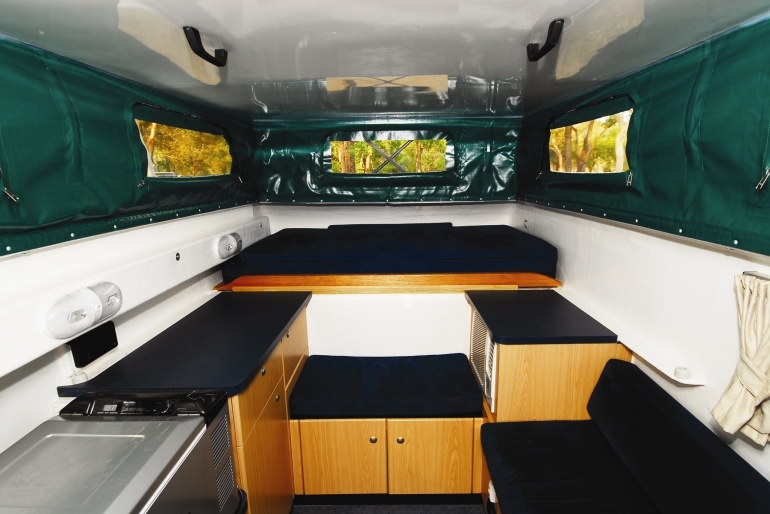 Far roomier than similar vehicles, this 4WD campervan is ideal for thrill seeking couples keen to hop on the road less travelled. 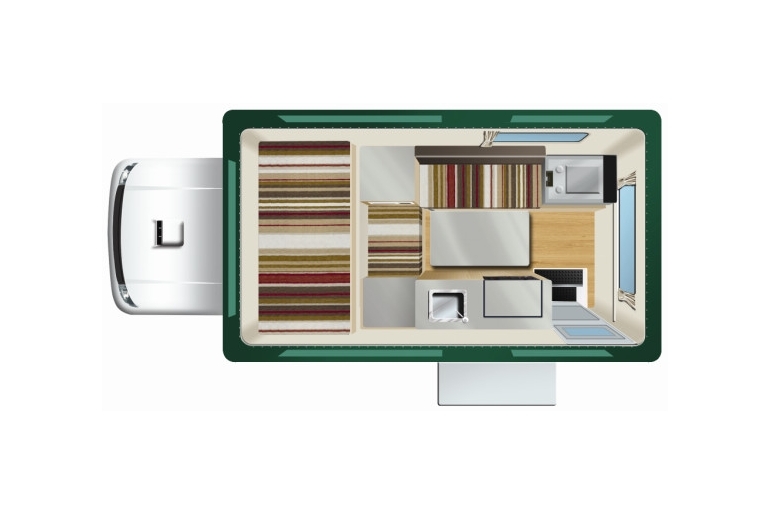 1 Electric kettle, 1 Whistling Kettle, 1 Toaster, 1 Breadboard/cutting board, 1 Frying Pan, 2 Sauce Pans, 1 Egg Lift, 1 Tongs, 2 Sharp Knives, 1 Potato Peeler, 1 Tin Opener, 1 Cork Screw, 1 Colander, 1 Salad Bowl (set of 3), 2 Knives/Forks/Spoons/ Teaspoons, 2 Glasses, 2 Dinner Plates/ Side Plates, 2 Desert Bowls, 2 Cups. Please Note: Vehicle speciﬁcations above are subject to change without notice & may vary due to modiﬁcations &/or upgrades. Cheapa cannot be held liable for any such variance. Vehicles cannot be requested by make or model, only by vehicle type.